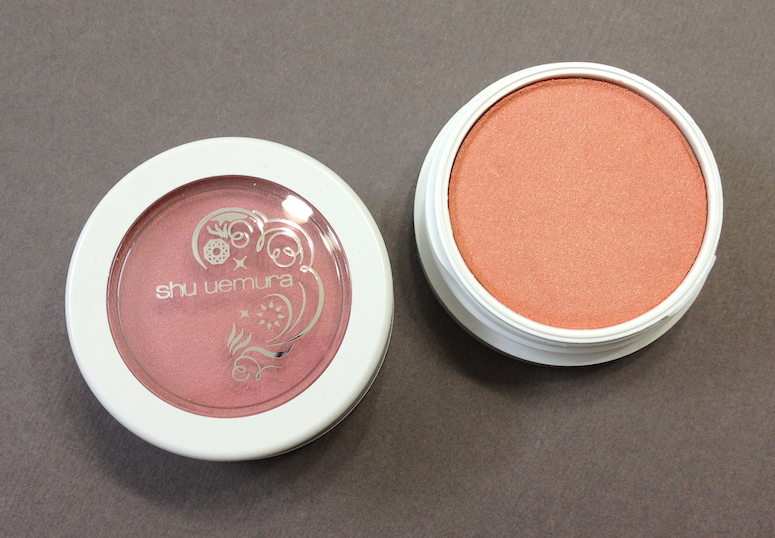 I've decided that Shu Uemura is my go-to brand when it comes to creating subtle, ethereal looks. 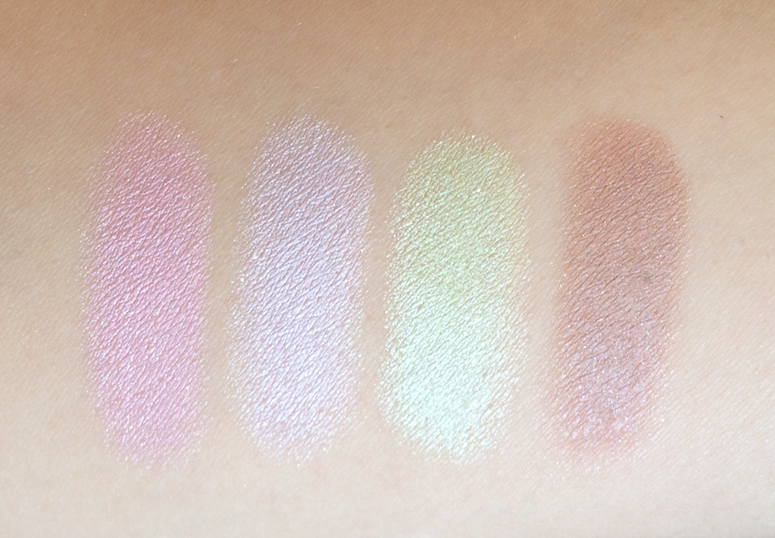 I don't think their range lacks in any products for creating stronger or more graphic makeup, but I do think they excel in particular when it comes to evoking a more delicate, fey sort of beauty. More than any other brand, I think of creatures of air and water and woodland when I look at their collections. The Bijoux collection for Spring is no exception. Kakuyasu Uchiide, Shu Uemura's international artistic director, suggests that "the key for this look is natural freshness, through using light reflection effectively, and also by using soft colours to create soft contours". The key words here are "soft" and "light reflection". 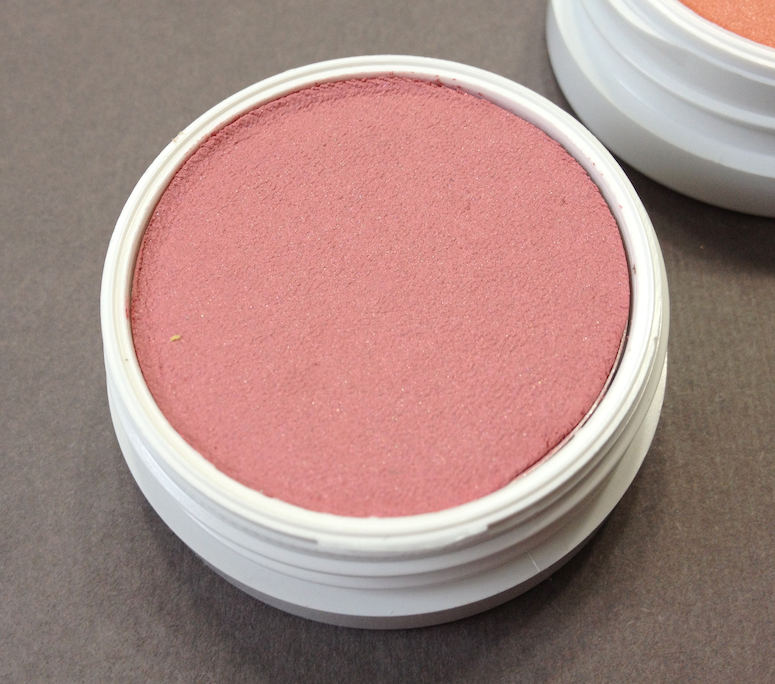 The formula of the blushes and eyeshadows is a literal interpretation of those concepts: their texture is marshmallow-soft and springy, and they are infused with a shimmer that comes across as either a soft sheen, or as a sunlight-on-ocean-waves sparkle. 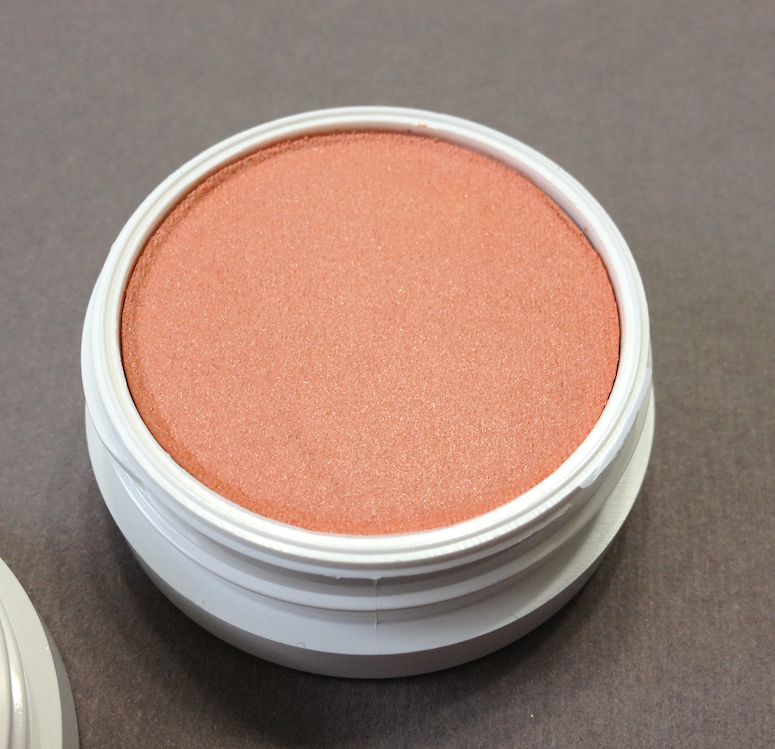 The Silk Cushion Blusher is offered in two shades: Rose Quartz, a rose pink, and Orange Quartz, a peachy orange. 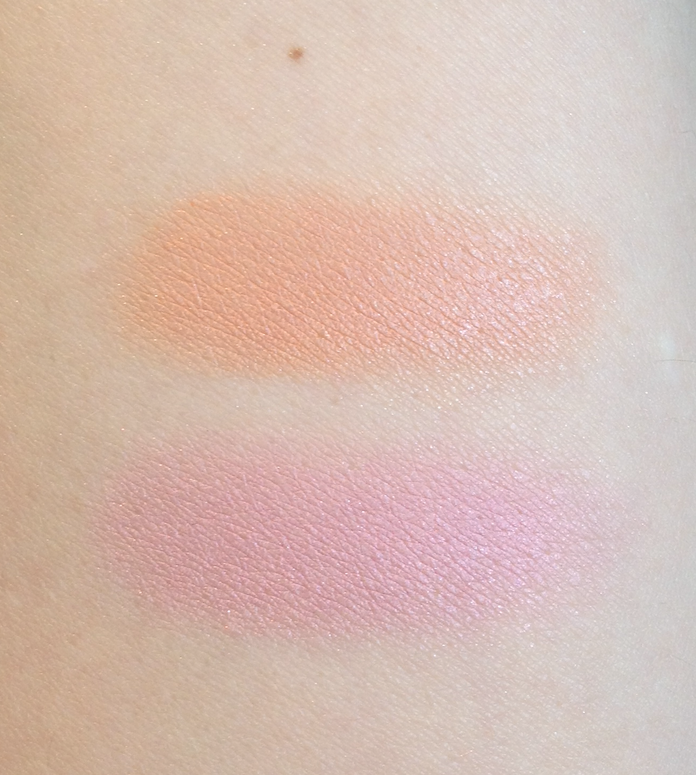 If you've poked at the Maybelline Dream Bouncy blushes, you won't be taken aback by the texture of these. They have a similar sort of plush "give" when you press into them, leaving behind a dent that very slowly fluffs back up. I would say these have a slightly more mousse-like consistency, but with a similarly slippy feel. 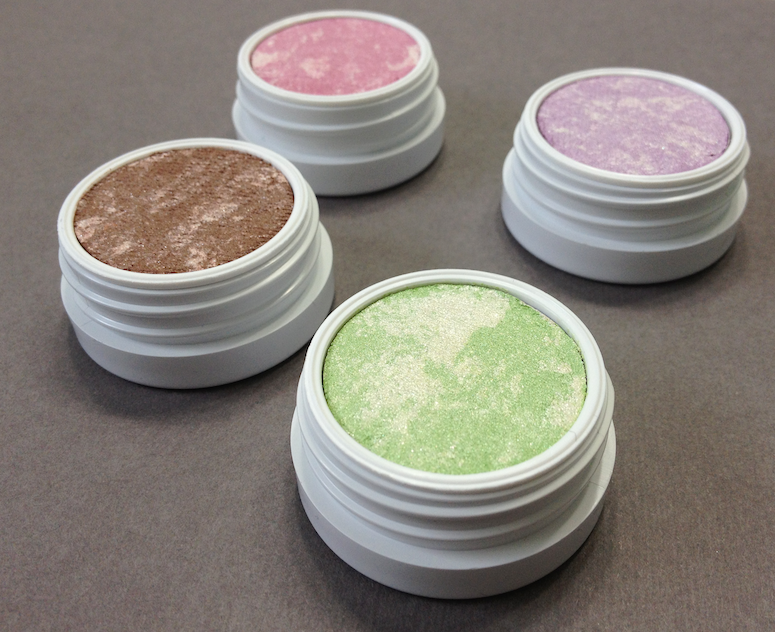 They're cream blushes, technically, but don't fall precisely into the dewy camp or the cream-to-powder finish. They don't feel tacky on the skin - or even perceptible, for that matter. They are actually fairly pigmented, and can be layered up to the full-blown shade featured in the first swatches below, if so desired. I do think they are best applied with a soft touch - specifically a duo-fibre brush. They blend so easily, and look very natural. Even the orange, which I normally would give wide berth to, looks fabulous applied like that. The finish is a satiny sheen, which only underscores that enchanted wood nymph image I have going on in my head. 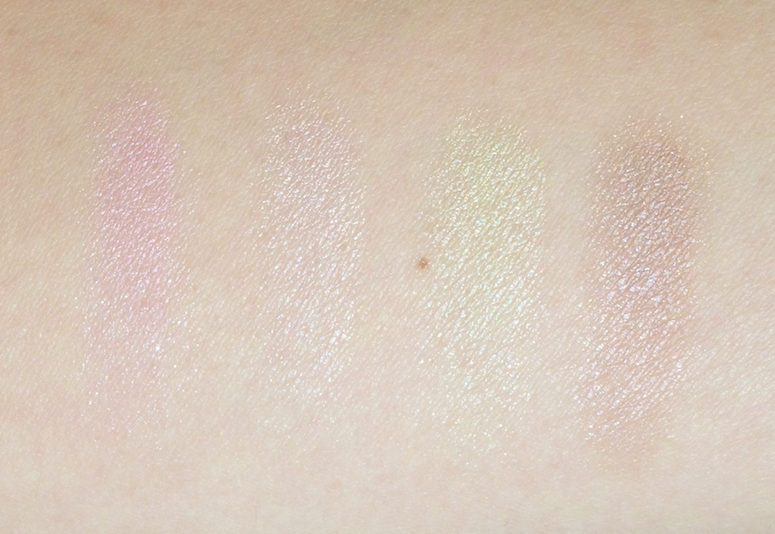 They have this lovely luminosity that doesn't rely on any kind of obvious shimmer. Wear time was not exceptional. They averaged about 6 hours before I saw fading. If you're prone to having makeup slide off your face, you're better off stashing it in your bag and touching up. The nice thing is that they don't get all weird and cakey if you do need to add a bit throughout the day, even over powder. 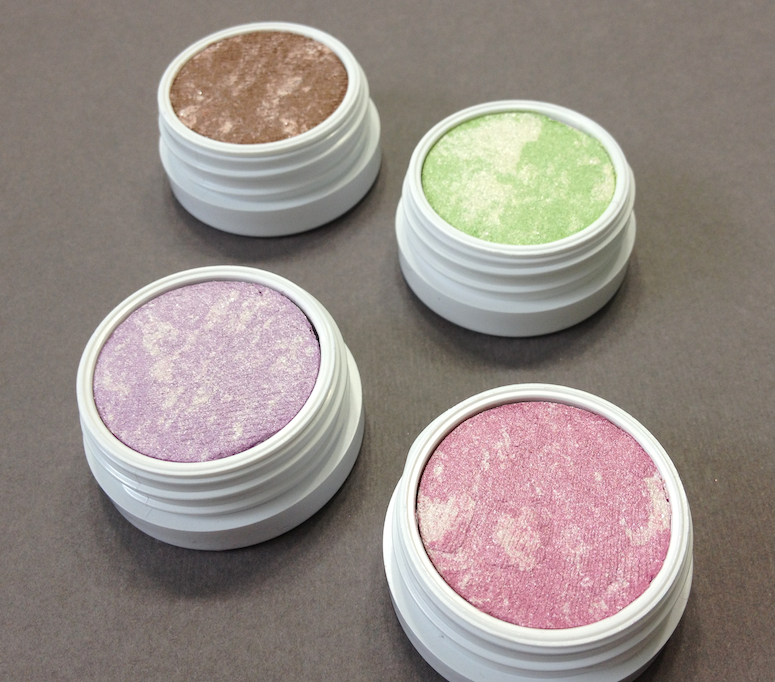 The Silk Cushion Eyeshadows are offered in four shades: Amethyst Purple, a pale lilac, Morganite Pink (MORGANite??? Come on now, Shu has to be with me on the fey thing with that one), Peridot Green, a light apple green with a hint of gold, and Amber Brown, an almost minky shade of brown, not nearly as warm as I expected from the name. 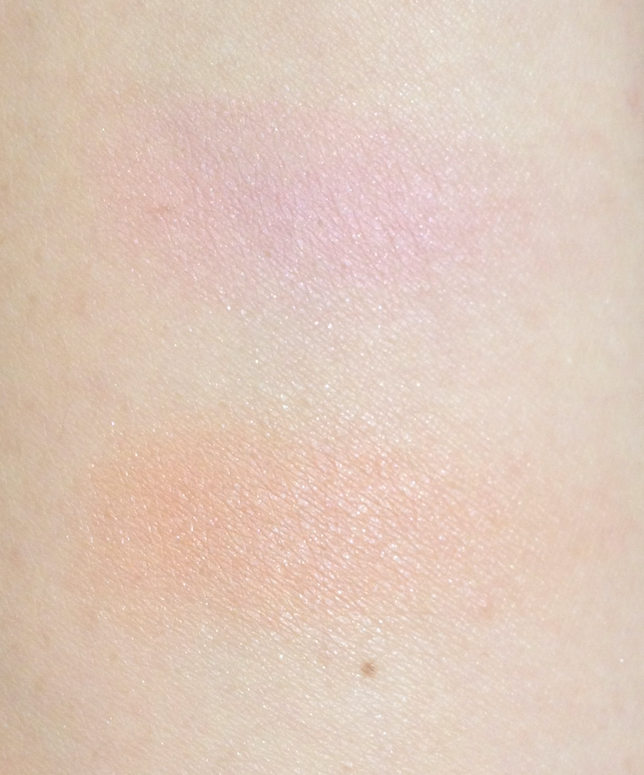 It actually looks barely darker than my lid shade when applied, despite how it swatches out. 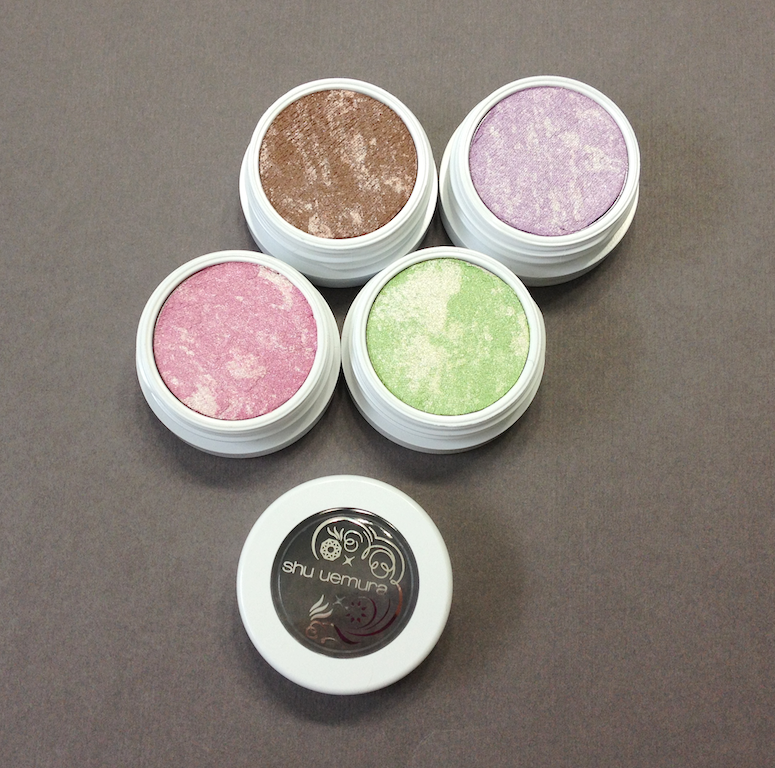 I had the best results applying a light wash, be it over a primer or as a finishing veil over another eyeshadow. The colour intensity is diminished, but the sparkle factor is enhanced. (Applied opaquely, they look more metallic/frosty.) The effect looks almost liquid, like the sun reflecting off water. It's a really beautiful look, but if you do prefer to have the colour intensity, you'll definitely need to use a fantastic primer and anticipate reduced wear time. Applied straight on for color intensity. Applied as a sheer wash.
Have you guys checked out anything from this collection yet? Or are you already onto the summer one? WOW Rose Quartz is pretty! I missed out on this collection while I was on hiatus, but love the sound of a bouncy pink blush :P Seeing as the Maybelline ones disappear within two hours, six doesn't sound half bad!